This verdant, beach-fringed coral island offers sophisticated pleasures on land and water � from genuine ayurvedic therapies in the spa to splashing, sailing or diving in the jewel-like Indian Ocean or in the pristine lagoon. 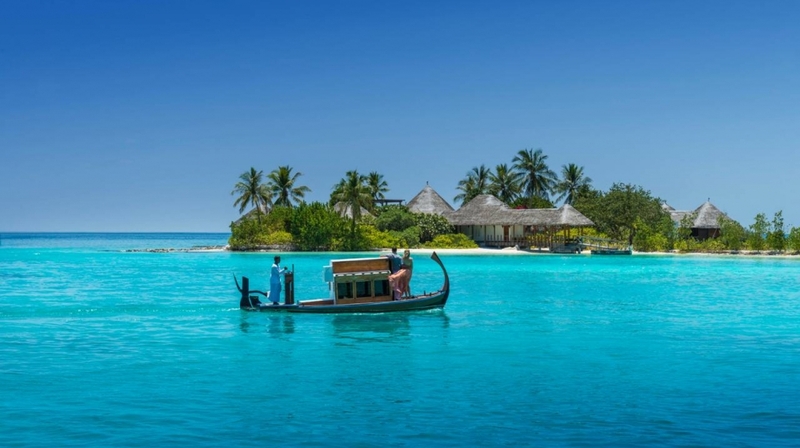 Experience the diversity of the Maldives by pairing your visit with a stay at the Four Seasons Resort Maldives at Kuda Huraa, offering intimate village charm. 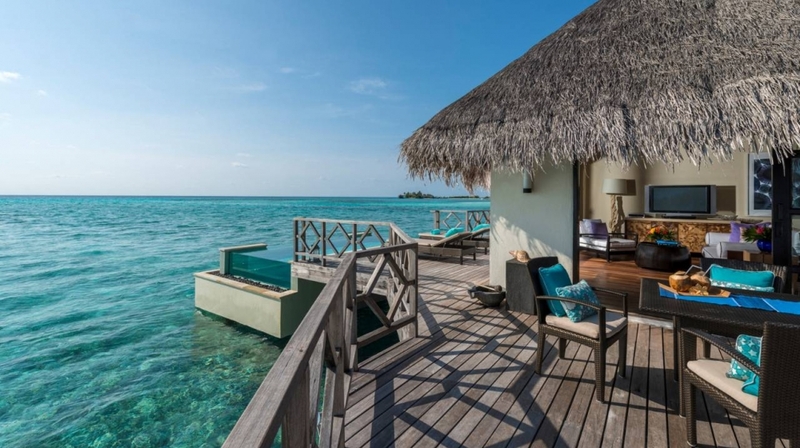 Four Seasons Resort Kuda Huraa is an enchanting garden island that offers a sophisticated and innovative choice of recreation, escapism and conservation. 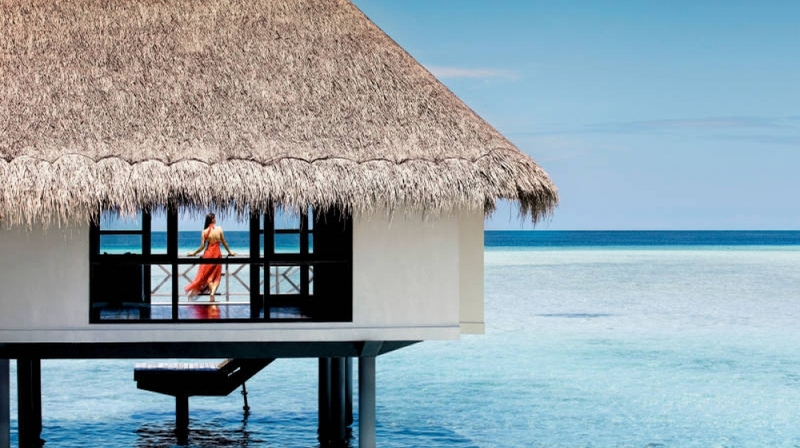 From gourmet breakfast in bed to after-dark lunar spa rituals via sun-drenched days, in room bath rituals and secluded sandbank dinners�find romance round the clock at Four Seasons Resort Kuda Huraa. Whether yours is just beginning, all grown-up or at any stage in-between, Four Seasons Resort Maldives is a wonderful base for your family. We go out of our way to make our youngest guests feel welcome, and our resourceful Concierge is always close at hand. 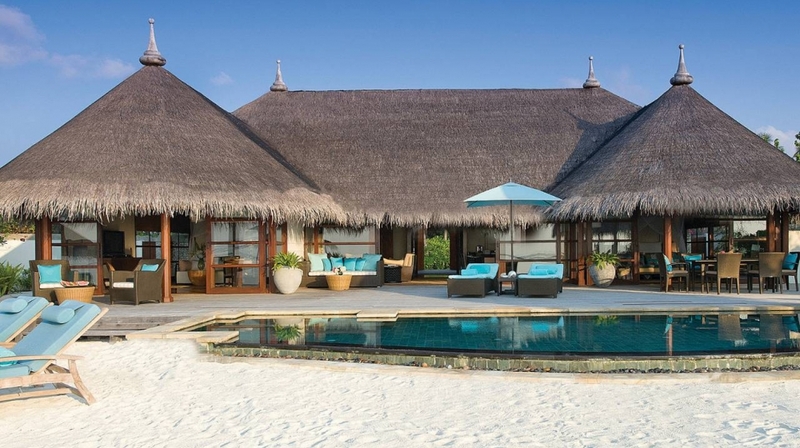 Thatched beach pavilions and bungalows line the white-sand beach at Four Seasons Resort Maldives at Kuda Huraa, while water bungalows are built on stilts over the lagoon. 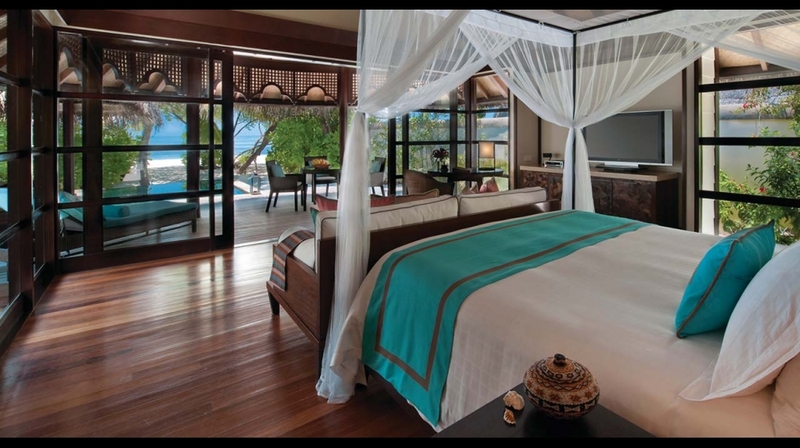 The Royal Beach Villa offers lavish one-of-a-kind accommodation for guests. From their thatched roofs and timber latticework to the beautiful white stone walls, all the architectural details are constructed by local craftsmen using indigenous materials and techniques that date back centuries, to reflect a true sense of the Maldives. Enhance your stay with a cruise on the Four Seasons Explorer, a private three-deck, 11-cabin catamaran that takes guests island-hopping, stargazing and diving in Four Seasons style. Our Resort at Landaa Giraavaru also makes an exciting complement to an experience at Kuda Huraa and a Four Seasons Explorer cruise. Refreshing cold towels and an iced tea Lomi Lomi drink upon arrival. A goodie bag for children aged 17 and under at check-in. All meals for children aged four and under at any of the Resort�s restaurants. The Library, featuring Internet access, a variety of books, magazines and games and a refreshment counter. Weekly cocktail party, hosted by the Resort�s management. Twice-daily housekeeping, with evening turndown service. 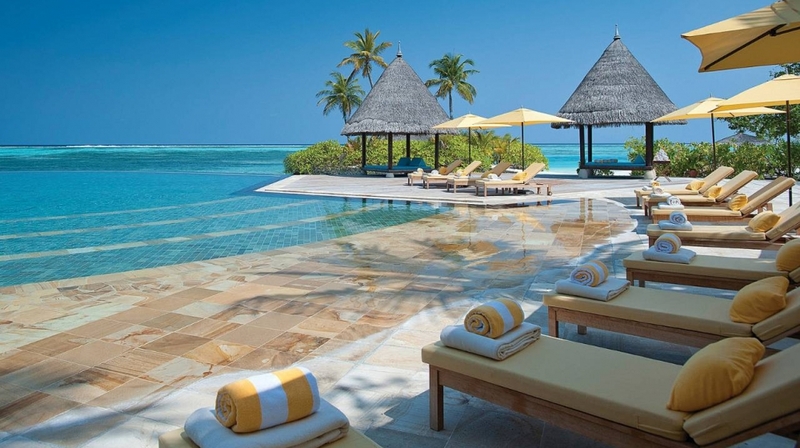 Infinity-edge pool and children�s pool. 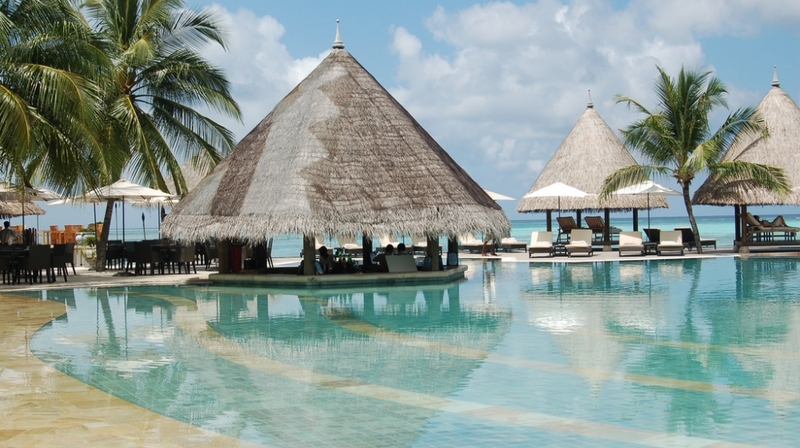 Beach-side and poolside amenities � chilled towels, ice water, Evian spritz and frozen fruit and other iced treats. 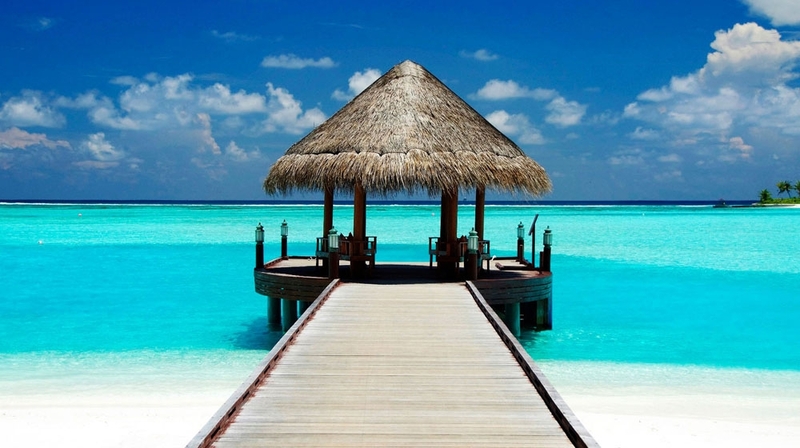 A serene hideaway within a hideaway, the Island Spa at Four Seasons Resort Maldives at Kuda Huraa has its own island. Here, you can feel as one with the ocean � let the gentle rhythms of the earth soothe your senses, allowing cares and tensions to dissolve and wash away. With an infinity edge that seems to merge with the blue horizon, our freshwater swimming pool is one of the largest in the Maldives. 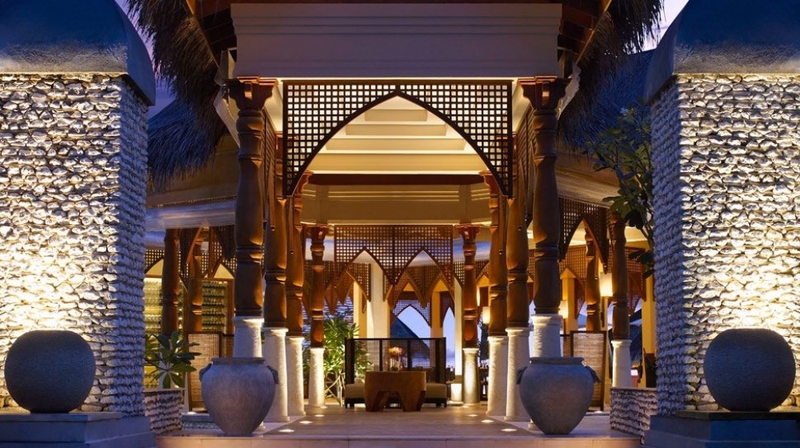 Dining at Four Seasons Resort Maldives at Kuda Huraa is an eclectic experience. Guests can savour fine Indian cuisine, celebrate the tastes of contemporary Italy or feast on Asian delicacies and choose from a cellar of handpicked fine wines. 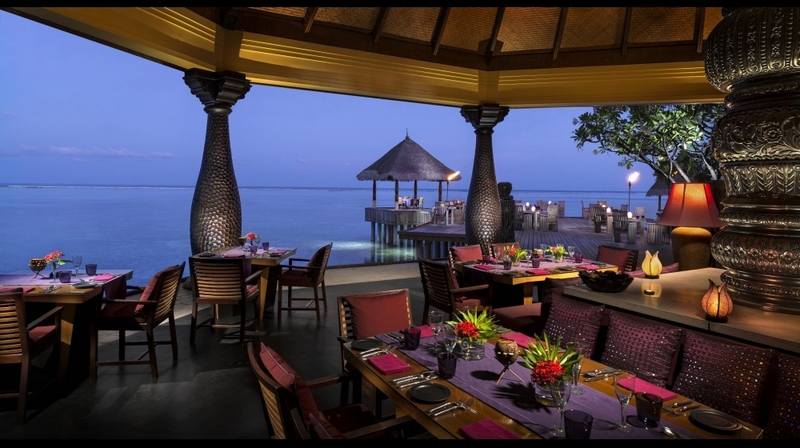 Natural settings inspire the palate and invite toasts to the magnificent Maldivian landscape � claim a seaside table, settle into a cafe pavilion, swim up to the poolside bar or sit perched above the lagoon on a torchlit terrace for an unforgettable meal. 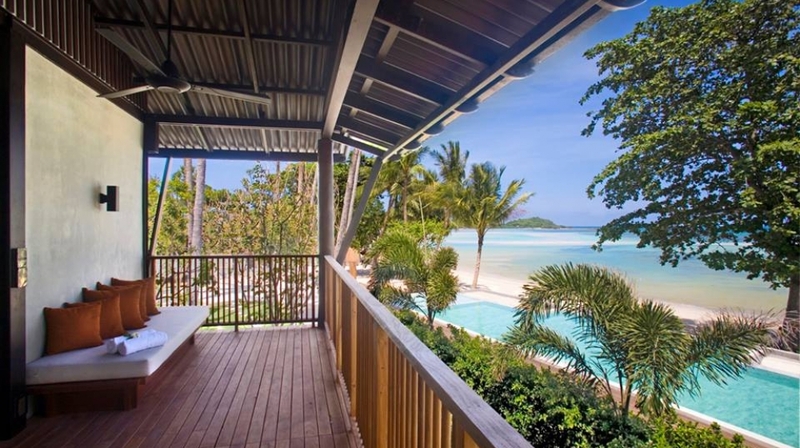 Special arrangements can be made for beach picnics and sandbank dinners, Robinson Crusoe picnics, Dhoni breakfasts and private parties of any size. Delicious In-Bungalow Dining is available 24 hours a day. At Kuda Huraa, unforgettable land and water diversions beckon. II. 45 to 30 days before the expected date of arrival from January 11, 2015 to May 10, 2015. III. 28 to 14 days before the expected date of arrival from May 11, 2015 to July 12, 2015 & September 01 to 30, 2015. IV. 45 to 30 days before the expected date of arrival from July 13, 2015 to August 31, 2015 & October 01, 2015 to December 20, 2015. II. 29 to 01 days before the expected date of arrival from January 11, 2015 to May 10, 2015. III. 13 to 01 day before the expected date of arrival from May 11, 2015 to July 12, 2015 & September 01 to 30, 2015. IV. 29 to 01 days before the expected date of arrival from July 13, 2015 to August 31, 2015 & October 01, 2015 to December 20, 2015. A reservation is considered a no show if arrival does not occur on the date reserved. Non-arrivals will be subjected to 100% of the accommodation rate for the entire period of the reservation. Due to their open design and proximity to water, the Resort strongly discourages guest with children below the age of 08 years from staying in Water units. 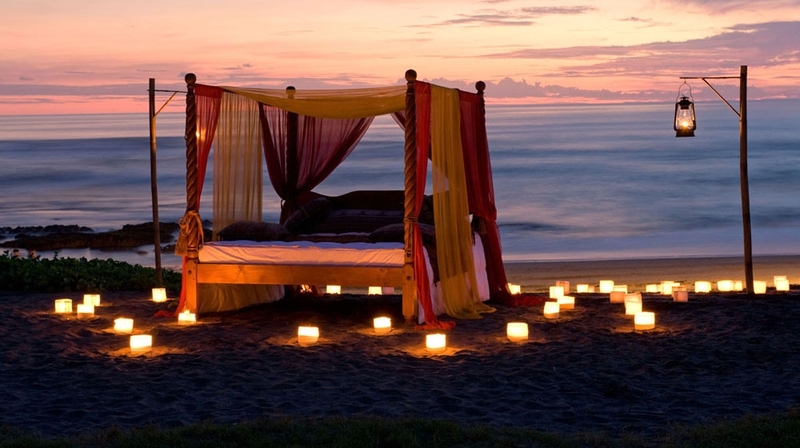 If the client insists on this type of accommodation, the Resort requires the signing of a liability release agreement. 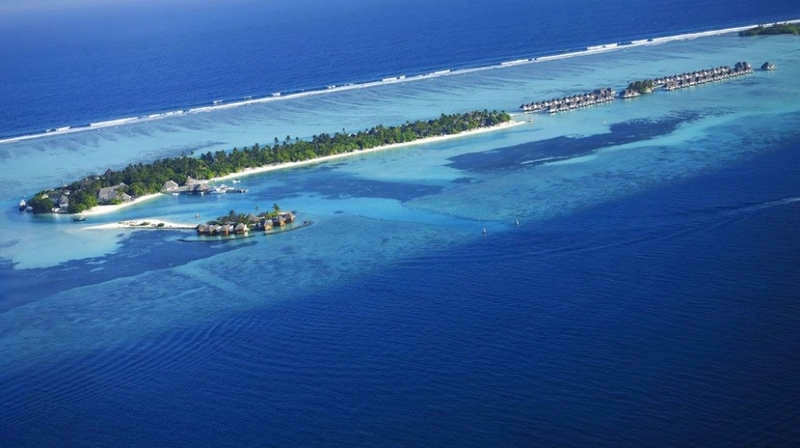 By Plane: The nearest airport is Malé International Airport (MLE): 30 to 45 minutes by seaplane.